The term "life hours" sounds simple but is one of the most misunderstood of all lighting terms. A life hour rating isn't a warranty or guarantee of a light bulb's life, so the life hour rating you see on a bulb's packaging isn't necessarily how long the bulb will last in your fixture. A manufacturer's projection of life hours has to take into account many variants including the calibration of manufacturing equipment, temperature fluctuations, and material quality, to name just a few. By using a big enough test sample, manufacturers hope to account for any manufacturing inconsistencies, making their rating as accurate as possible. Manufacturers test a group of sample lamps by burning them continuously. The point at which 50% of the lamps fail is the life hour rating. Manufacturers test a group of sample lamps by burning them for 3-hour intervals. Manufacturers test a group of sample lamps by burning them for 10-hour intervals. The point at which the lamps meet 40% of their original lumen output is the life hour rating. Manufacturers test a group of sample lamps by burning them continuously. Like HID lamps, LEDs aren't allowed to burn out. The point at which the lamps meet 70% of their original lumen output is the life hour rating. 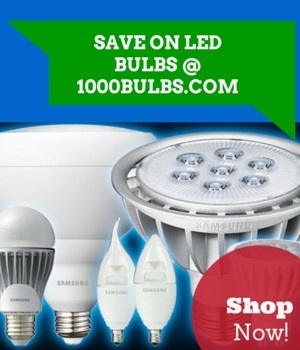 In the next part of this series, we'll show how you can use this information to inform your light bulb purchase.